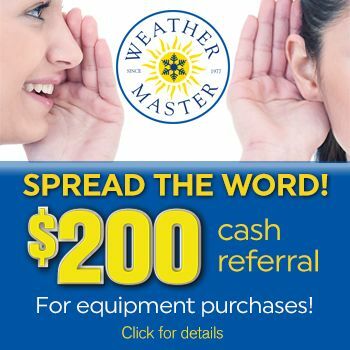 Weather Master and its team members are proud of our community. Our team is committed to investing the time and resources needed to improve the quality of life for the residents and businesses in North Carolina. We appreciate feedback from our customers, as this is how we continue to provide excellent service. Please contact our management team at any time with your comments, suggestions, or feedback regarding how we have served you and, most importantly, how we can better meet your needs. Thank you! Lee is the Co-Owner and Vice President of Weather Master and Mr. Plumber and has been with us for over 20 years. Lee’s purpose is to ensure that our customers are provided with their best experience to date in heating, air conditioning, and plumbing services. Lee takes pride in making a difference in the quality of services received from Weather Master. Providing the best possible overall experience of any heating, air conditioning, or plumbing contractor in the Raleigh / Durham area is Lee’s daily motivation. Lee states that coaching, training, and leading his teams are essential to improving the customer’s experience. Lee enjoys cycling, classic car shows, and watching movies. For over 14 years, David Richardson has been managing various departments at Weather Master with the goal of improving any aspect of the company he can. David’s current department duties include the daily operations of the residential new construction departments and warehouse. This includes meeting with current and prospective clients and ensuring operations of the warehouse and new construction departments are moving efficiently. David feels that through hard work and dedication to the job at hand, the customer’s experience will be improved. David enjoys spending time with his family and friends when not working. David collects wine, antiques, and enjoys watching the Washington Redskins and UNC sports. Jim oversees all aspects of the Replacement Department including sales, installation, permitting, financing, and follow up. Jim’s responsibilities include ensuring that all customers in our Replacement Department are satisfied with their new home comfort system. In addition to directing sales and customer service efforts, Jim is also a comfort consultant. Jim’s hobbies include golf, singing, and enjoying his marriage of over 32 years.